Plan your wedding ceremony and reception at Chicago Theological Seminary. It's a sleek, modern facility located between Hyde Park, Woodlawn and University of Chicago neighborhoods. Our top floor chapel and banquet area is a magical venue for a celebration with up to 150 guests. There's a green rooftop patio with stunning views of Chicago. 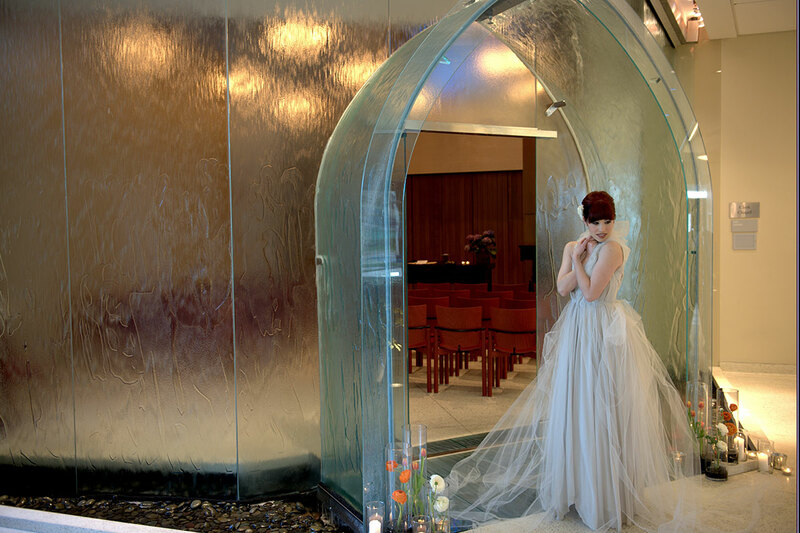 There's even an intimate free-flowing water-encased glass chapel that seats 40. The building is a modern marvel with beautiful, open architecture and elegant spaces equipped with the latest technology and support. We even have parking. And it's all extremely affordable. This quaint little chapel is the ideal place for an intimate wedding or commitment ceremony. One of CTS's iconic spaces, it's nestled inside a double-sided wall of free-flowing water. This water-encased glass chapel can hold up to 40 people with flexible seating arrangements. It's perfect for magical family weddings, small religious gatherings or other ceremonies. 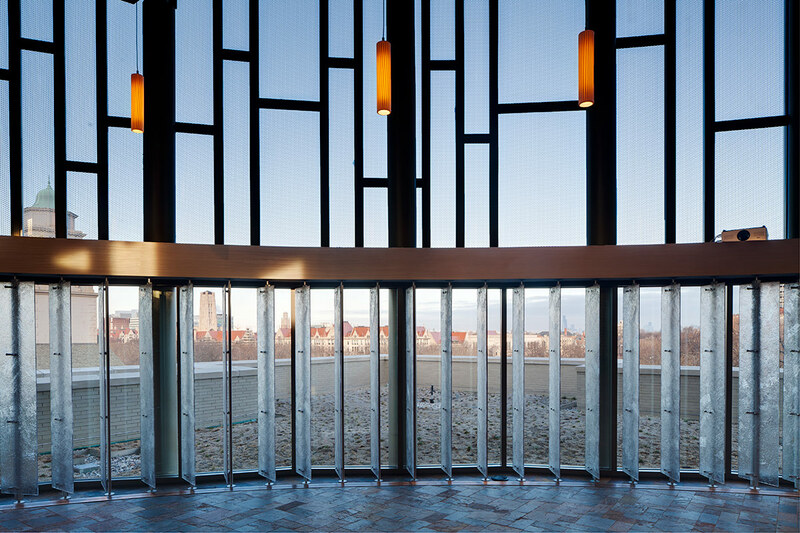 Located on our top floor, this light and lofty aerie is a celebration in and of itself. 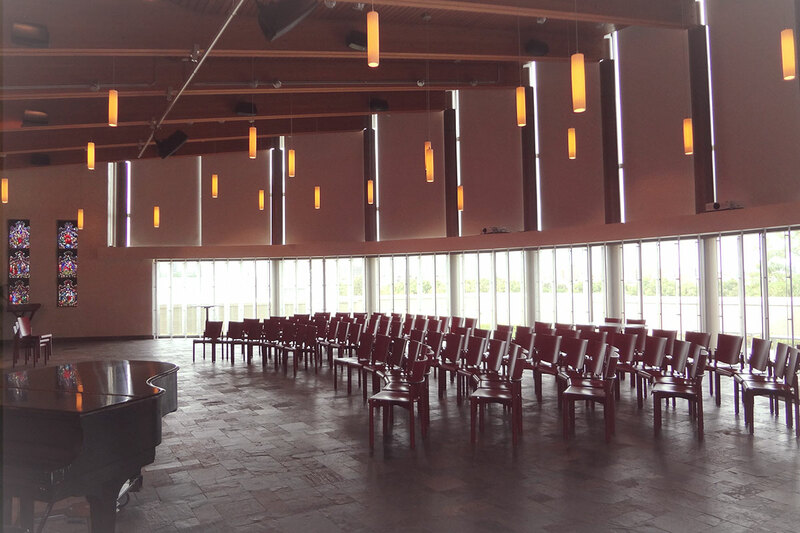 It’s the showcase venue at CTS, with beautiful views and elegant spaces. The open auditorium with high ceilings and stunning views of downtown Chicago will make your memorable day one of a kind! 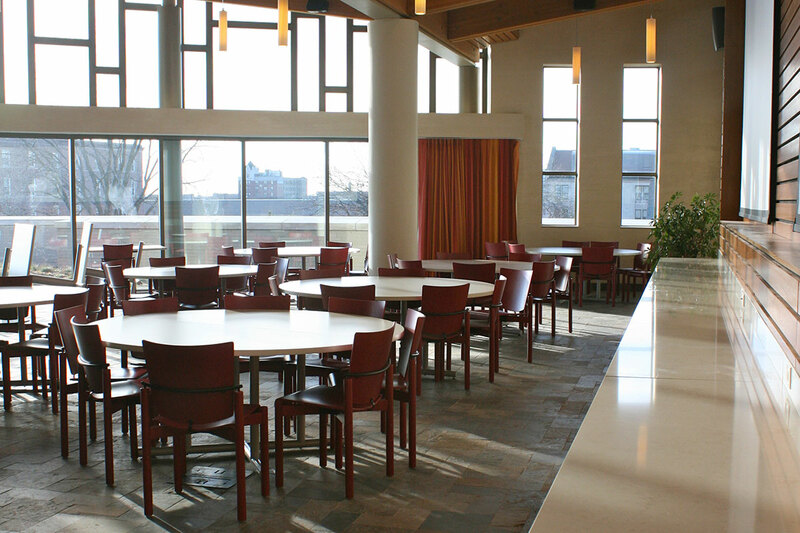 Situated on the fourth floor, it provides flexible seating arrangements for wedding parties up to 225. There is even an outdoor “green roof patio,” where you can stroll, take photos and take in the neighborhoods. 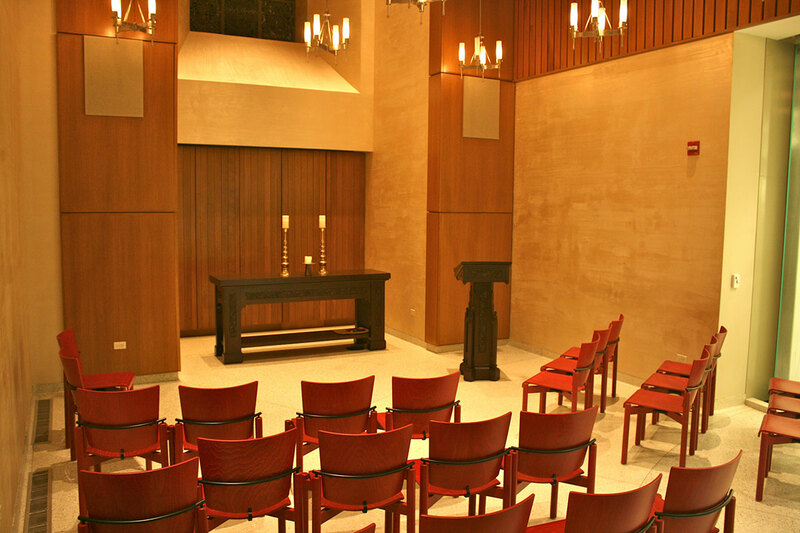 This modern chapel is completely equipped with the latest technology, perfect for showing videos, playing music and making speeches. We understand that wedding parties need extra rooms for the bridal parties, getting dressed and storing outfits. That's why we have made a number of rooms available for these purposes. We want to make sure your magical day is as easy and comfortable as possible. CTS has a small parking lot right behind the building that is available outside of business hours. There is also a free parking lot two blocks away. Plus, there is always plenty of free parking on the streets right in front of the building. There is WiFi throughout the building. Please come and check out the venue for yourself! We offer walk through tours Monday through Friday from 8:30 am to 4:30 pm, by appointment only. Weekend tours are available by appointment; based on availability. To schedule a tour, please contact our Event & Reception Specialist, Roxie Kooi at reservations@ctschicago.edu or call 773.896.2429.